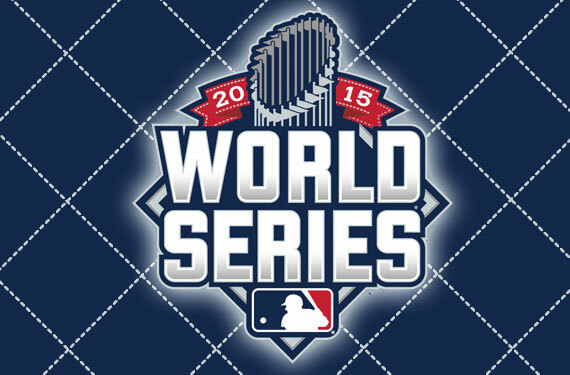 The 2015 Fall Classic begins tonight as the Kansas City Royals host the New York Mets in Game 1. A throwback to the ‘80s with this matchup as neither team has hoisted the Commissioner’s Trophy since 1985 and 1986 respectively. In a matchup that is expected to be as close as this series is, every little thing could be the difference between another year of defeat or rewarding a fan base that has waited decades to win again. So with that in mind, here is a breakdown from each angle of the series. Let your voice (or critiques) be heard in the comments section below. If you have tuned into a playoff game at all you have probably heard of the stable of young starters from Queens lighting up the radar gun and mowing down excellent hitters. The quartet of Matt Harvey, Jacob deGrom, Noah Syndergaard, and Steven Matz has been excellent in October and is the biggest reason (outside of a certain second baseman coming up later) that the Mets are playing in the Fall Classic. They have pitched to the tune of a 2.65 ERA and a .217 Batting Average Against during the playoffs, striking out a ridiculous 69 batters through 9 games, 14 more than any other starting staffs. If the Mets are going to win this series, it is going to be in large part due to their starting pitching. While the starting staff is clearly the strength of the Mets, it may be the biggest issue for the Royals. The starting rotation of Yordano Ventura, Johnny Cueto, Edison Volquez and Chris Young has been dismal in the postseason, throwing a terrible 5.56 ERA, giving up a total of 34 runs in 11 games (the Mets meanwhile have given up just 16 earned runs in 9 games). Cueto, KC’s Game 2 starter is going to need to be the pitcher the Royals traded for in July. Since coming over from the Reds he hasn’t lived up to expectations, throwing a 5+ ERA and was visibly effected by the crowds on the road in his last start against the Blue Jays. He will be pitching at Kauffman Stadium in his first game and it is there where he will need to regain his confidence if the Royals are to try and keep up with the Mets’ pitching. Where the Mets feel they have the significant advantage in the starting pitching category, the Royals certainly feel the same way about their bullpen. Even with the loss of closer Greg Holland back in early September, Kansas City still has two of the three headed monster that they debuted last year in Wade Davis and Kelvin Herrera. With the question marks surrounding their starting pitching, they will again be leaning on their bullpen to try and shorten games. This has worked out for them so far as they are 10-0 in the last two postseasons when leading after 6 innings. In the other ‘pen, arguably the best closer of the postseason, Jeurys Familia, has been lights out, giving up only 2 hits, 2 walks, and no runs over 33 batters faced. He has been a rock at the back end of the game, and has shown the ability to pitch longer than one inning and can come in mid-inning if needed. The rest of the Mets’ bullpen has been good with Addison Reed, professional athlete* Bartolo Colon, and Tyler Clippard, although I am curious as to who outside of Familia Terry Collins will trust in that big moment in the middle innings of a game if a starter is chased out earlier. The blueprint for the Royals: Starting pitcher goes 6 innings, bullpen closes down game. The blueprint for the Mets: Starting pitchers go 7+, Familia closes out game. Mets’ second baseman Daniel Murphy, aka the second coming of Babe Ruth, Barry Bonds, and Carlos Beltran combined, has put up historic numbers this postseason, including six homers in his last six games. He has swung and missed just 12 times in the playoffs while hitting nine extra base hits. Bottom line… the dude is just raking. The rest of the Mets however have only been alright. Murphy’s heroics have covered up what has been an average offense for the Mets. Batting only .234 as a team, and those numbers go way down when you take out Murphy’s production and the hitting of Curtis Granderson, the Amazin’s are going to need to get more production out of their lineup to avoid falling behind and attempt to come back against that Royals bullpen. Outfielder Yoenis Cespedes and Third Baseman David Wright will be looked on to pick up some of the slack. With a full week between the Mets clinching the NL title and the first pitch of the World Series being thrown, it would be unlikely that Murphy remains as hot as he has been so it will be up to the rest of the team to step up. A big X factor here is first baseman Lucus Duda. A notoriously streaky hitter, he began to show some signs that he could begin heating up at the end of the NLCS. When he is hot he can put the team on his back, and when he is off he looks like he should be playing AA ball. Duda struggles against lefties, but with no lefty starters for the Royals, he should not have to face any besides Royals’ relievers Franklyn Morales and John Duffy later in a game. On the other side of the diamond lies the Royals lineup, one filled with talent from top to bottom. Leadoff hitter Alcides Escobar has been pivotal for the Royals, batting .478 in the ALCS and acting as the table setter for the hitters behind him. In order for the Royals to score runs on this very tough Mets rotation it is going to be even more important for Escobar to get on base. Behind him, Kansas City has been clutch, batting .350 with runners in scoring position. Lorenzo Cain and Kendrys Morales need to continue their production, hitting 5 home runs and 17 RBIs combined through the first two series. Veterens like Ben Zobrist and Eric Hosmer will need to continue to work counts and see as many pitches as possible in order for the Royals to lessen the number of innings the Mets’ starters throw. No team plays small ball better then the Royals and it will be those moments within the game where they will have to execute in order to score runs and get to that bullpen with the lead. Oh, and any team that has a player like Alex Gordon hitting in the 8 spot is usually doing something right. Few teams play better defense then the Royals. Alex Gordon, Lorenzo Cain, Eric Hosmer, Mike Moustakas, Salvador Perez, Alcides Escobar and Ben Zobrist have all either own a Gold Glove or will be picking up that hardware very soon. They do not make many mistakes and the ones they do make are usually scarce and isolated. It is when these rare errors or misplays occur where the Mets will have to be ready to pounce and take advantage of them. Salvador Perez is a guy who should be singled out as not only does he call a great game behind the plate, but also has the arm to throw out any runner on any bag, including first base. The Mets will have to pick and choose their moments to steal bases carefully or they could run themselves out of a rally or run. The Mets are a strong team defensively as well. Cespedes in the outfield has a cannon for an arm, Duda is an underrated First Baseman, and Juan Lagares plays a great center. Outside of those three, the rest of the defense skews average to slightly above average. Wilmer Flores is limited at short, d’Arnaud frames pitches very well but throwing isn’t his strongest trait, Granderson has a noodle for an arm out in right and no one is confusing Daniel Murphy for Roberto Alomar Jr. any time soon. That being said, the Mets have played very well in the field during this postseason and they will have to continue this in the World Series to prevent the aggressive Royals from starting a rally or taking that extra base. Like every World Series or Super Bowl or final of any kind in sports, there is always an unsung hero or two that steps up off the bench and writes their name into history. The Mets have quite a few players waiting in the wings who could do just that. Kelly Johnson, Kirk Nieuwenhuis, and Michael Cuddyer should all see some at-bats in this series, and at least one of them will take up the DH role for the games in Kansas City (Kelly Johnson getting the start in Game 1). Lots of pop from each of these three, all of whom can take one deep if they are able to get a hold of one. Meanwhile the Royals do not really use their bench all that much. They pretty much roll out their starters every game and let them play it out. Bench players have only had three at-bats so far this postseason. However keep an eye out for Terrance Gore and Jerrod Dyson later in games as potential pinch runners. Both guys are lightning fast and could be put in to be the difference on the basepaths. Royals’ Manager Ned Yost is about as ‘Old School’ a manager as there is now a day. Not a tinkerer, nor much of an in-game manager, he gives his players the freedom to steal when they think they can make it, bunt when they think they should, and lets pitchers pitch. While this can be a good thing, it has shown at times in the past, including Game 6 of the ALCS, where his laid back style can hurt the team. In that Game 6 with a 3-1 lead he chose to keep Ryan Madsen in instead of bringing Wade Davis into the game to close it out. Madsen promptly gave up a 2-run game tying home run to Jose Bautista which could have changed the whole series around had Toronto went on to win that game and force a Game 7. That being said, his players trust in him and respect that they are able to go out and play the game instead of being coached throughout. He has experience in the postseason and the job he has done this year cannot be questioned. In the other dugout, Mets’ Manager Terry Collins, the oldest, yet giggliest, manager in the game, has done an excellent job of managing this team to make it this far. He did a brilliant job managing the workload for all of his young pitchers down the stretch and has made all of the right moves in dispatching the Cubs in 4 games during the NLCS. Unlike Yost, who will start his normal lineup every night, Collins will be looked upon to make the right calls when it comes to who will DH when the games are played at Kauffman Stadium, and who to call in from the bullpen in big moments, especially when it comes to pulling one of his prize starters out of the game. Whenever a team like this relies upon its starting pitching so heavily, I always think of the ’03 ALCS where Red Sox Manager Grady Little left his ace, Pedro Martinez, in the game just one batter too long. It is here where Collins will be looked at to manage this very young rotation and hand the ball off to the ‘pen before they throw too long. This is going to be a fun one. The biggest battle of this whole series will take place in the first 6 innings of each game. Can the Mets’ pitching keep Kansas City off base and shut down this lineup like they have everyone else while plating runs off the KC starters? Can the Royals scratch a few runs off the Mets starters to get Herrera and Davis in the game with a lead? This series will be decided by who is able to accomplish this. In the end though, I feel that the Mets of 2015 are very similar to the Royals of 2014, a team that vastly exceeded expectations, made it to the World Series, but ran into a team that was more polished and more experienced upon getting there. No one does all the small things right like KC, and while the Mets’ pitching has been incredible, unless their offense beats up the Royals’ starters I think Kansas City has the combination of excellent base running and clutch hitting to scrape a couple of runs across the plate. In what I expect to be a very close series, I think the Royals have learned from last year and are ready to take home their first title in 30 years.